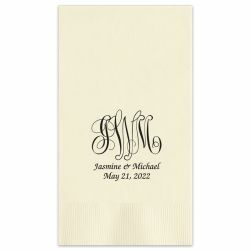 I was surprised to be able to order this item the week before the wedding! 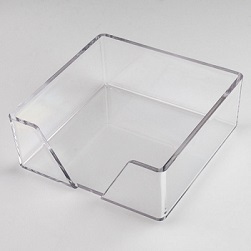 However the order was in hand within a couple of days and the quality was high. I was very pleased with the way the napkins looked, and the printing was well done. The delivery was quick and professional. Let your guests ooh and ahh over every detail. 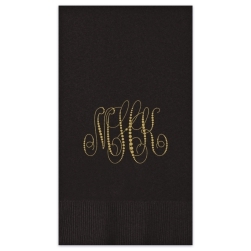 Why use plain napkins when you could affordably and easily use personalized wedding napkins with a couples’ monogram and two lines of text. 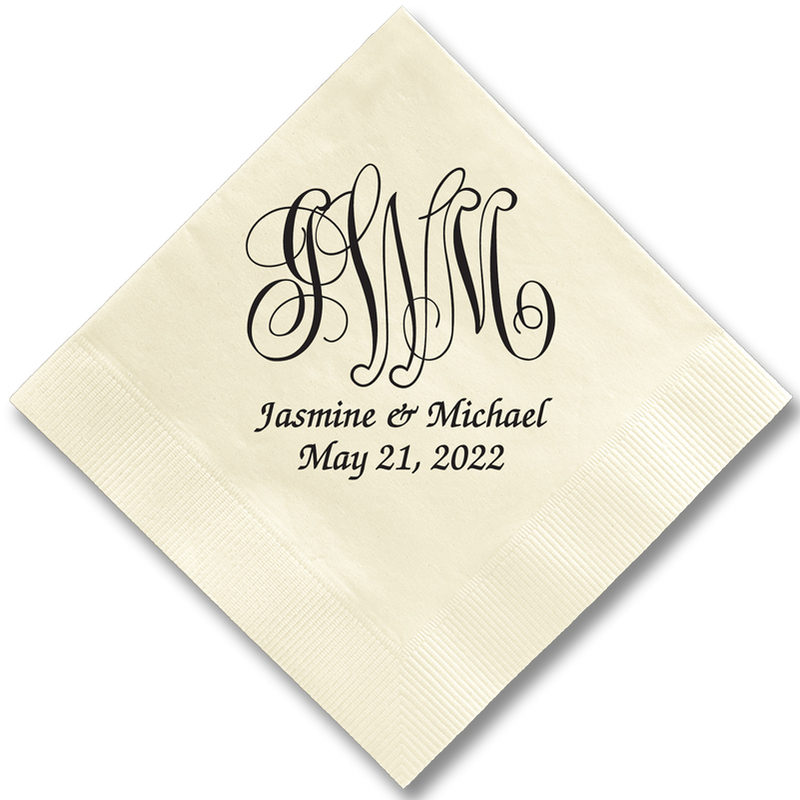 The Pamplona Couples Wedding Napkins offers a choice of lettering style, square or diamond format, foil color and paper color to match your wedding theme. 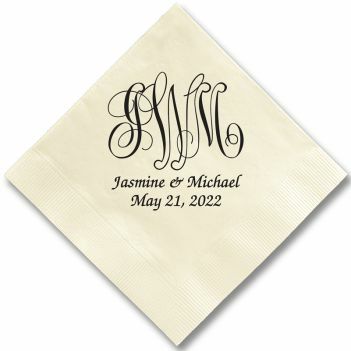 Design your Couples Cocktail Beverage Napkin today.